A beautifully designed house manual that will wow your guests! Give your listing that extra touch and value to your guests! We design a unique custom made house manual for your listing. You provide the information and photos and let us create a guidebook that will wow your guests! 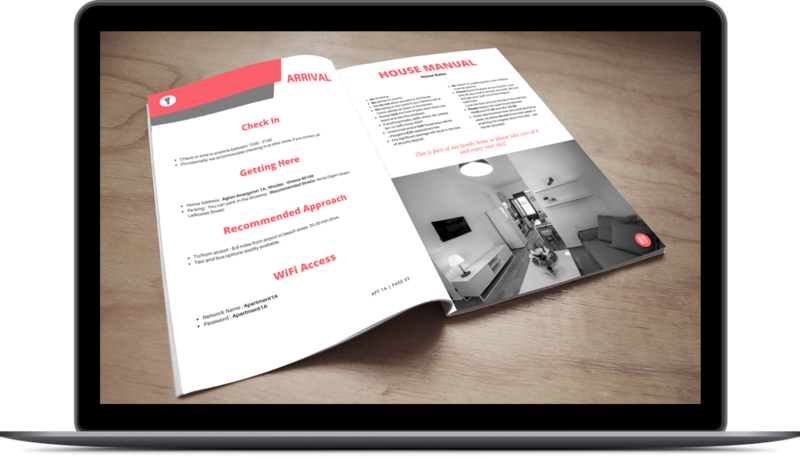 We offer a minimum of 7 pages for your manual and include all the necessary details that a guest needs. If you require extra pages we also arrange custom pricing for added pages. Secure payment via Paypal. We will get in touch to start designing your manual within 48 hours. You will receive a final high quality PDF file ready to print.